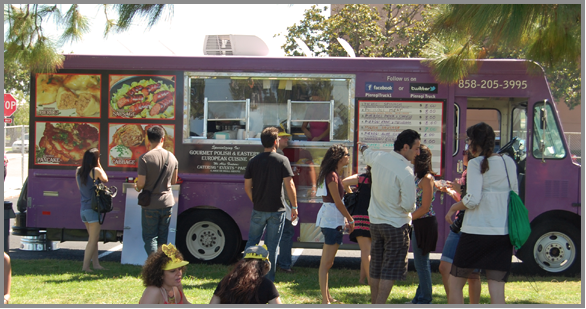 Pierogi Truck of San Diego offers catering services for sport events, corporate parties, weddings, home and office Parties, social gatherings and more. We will customize a plan for your event to your specific to your needs. We cater parties from around 30-200 people. We bring our Pierogi Truck to your location only for parties of 50+, and we need about 30 x 7 feet of free space in front of the event location.Our pricing depends on the type of event and number events. But you can count on having a good, home-cooked meal for your guests for about $8-$13 a plate, depending on the entree, plus sales tax and gratuity for the staff.